Established in 2011 | happy.harvey.home. I love personalized items, especially when decorating our home. I love using monograms and initials and am a big fan of rustic items. 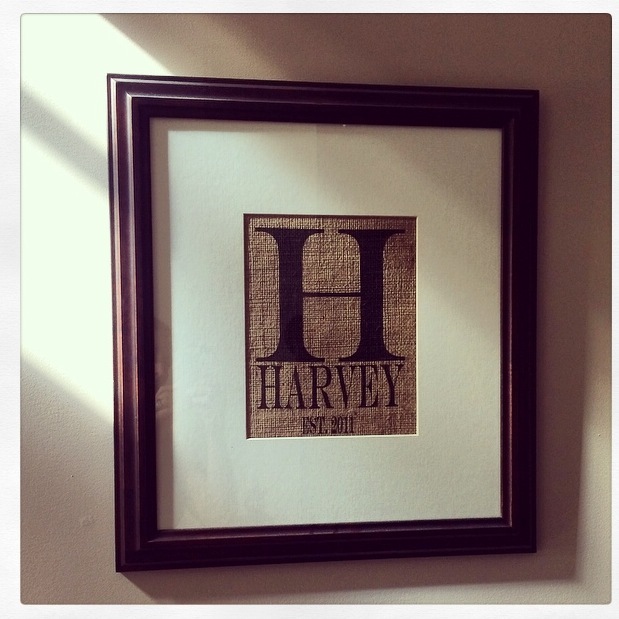 One of my favorite pieces is this burlap sign hanging on one of our walls in our entry way. Another Etsy find in a Pottery Barn frame, it reminds of me of where we began and everything we journeyed through since then. It reminds me of our beginning and makes me even more excited about our future. We are the Harvey family, established in 2011, and looking forward to years and years to come.